FranklinParishCatfishFestival.com is the official web site for the Franklin Parish Catfish Festival. This site is a source for information about the Franklin Parish Catfish Festival and provides information about the annual event in Winnsboro, Louisiana. 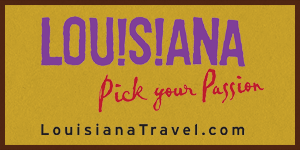 The Franklin Parish Catfish Festival is Louisiana's largest one-day festival. Need more information about the Franklin Parish Catfish Festival? We are here to answer your questions. To get in touch with us, fill out the form below. Required field are denoted by * and all other fields are optional. You can also contact us via these other methods. NewBirth Creative Design Agency is a full service marketing company and branding agency that specializes in creative design and marketing services, including: custom web site design, e-media, corporate identity and print media design, all reinforced with highly effective marketing strategies. NewBirth Creative Design Agency is Northeast Louisiana's premier creative design service provider and creative web design agency. We use attractive and brilliant designs coupled with standards-valid web technologies to create relevant and useable sites. We also provide creative design services, such as corporate branding indentity solutions.